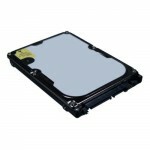 Hard Drive, WD 500G 2.5 SATA 3GB/s 24x7, 5KRPM 16MB(G). Please contact the More Control sales team to obtain a price for this product. Our email is sales@more-control.com or call 0345 00 00 400. Wireless 6-Channel Analog Input Node with with Power Amplifier. Please contact the More Control sales team to obtain a price for this product. Our email is sales@more-control.com or call 0345 00 00 400. Wireless Temperature & Humidity Sensor Node. Please contact the More Control sales team to obtain a price for this product. Our email is sales@more-control.com or call 0345 00 00 400. Wireless 8-ch Digital Input Node with Power Amplifier. Please contact the More Control sales team to obtain a price for this product. Our email is sales@more-control.com or call 0345 00 00 400. Wireless 8-ch Digital Input Node. Please contact the More Control sales team to obtain a price for this product. Our email is sales@more-control.com or call 0345 00 00 400. Wireless Router Node. Please contact the More Control sales team to obtain a price for this product. Our email is sales@more-control.com or call 0345 00 00 400. Wireless Modbus RTU Gateway. Please contact the More Control sales team to obtain a price for this product. Our email is sales@more-control.com or call 0345 00 00 400. Isolated Thermocouple Input Module. Please contact the More Control sales team to obtain a price for this product. Our email is sales@more-control.com or call 0345 00 00 400. Isolated RTD Input Module. Please contact the More Control sales team to obtain a price for this product. Our email is sales@more-control.com or call 0345 00 00 400. Isolated DC I/O Module. Please contact the More Control sales team to obtain a price for this product. Our email is sales@more-control.com or call 0345 00 00 400. Isolated Strain Gauge Input Module. Please contact the More Control sales team to obtain a price for this product. Our email is sales@more-control.com or call 0345 00 00 400. Isolated AC Voltage Input Module. Please contact the More Control sales team to obtain a price for this product. Our email is sales@more-control.com or call 0345 00 00 400. Isolated AC Current Input Module. Please contact the More Control sales team to obtain a price for this product. Our email is sales@more-control.com or call 0345 00 00 400. CIRCUIT BOARD, 4-Slot IO Expansion, Cortex-A8 Wireless Open iRT. Please contact the More Control sales team to obtain a price for this product. Our email is sales@more-control.com or call 0345 00 00 400. 4-ch Power Relay for DIN-rail Mounting. Please contact the More Control sales team to obtain a price for this product. Our email is sales@more-control.com or call 0345 00 00 400. 4-ch DIN-rail SSRI/O Carrier Module. Please contact the More Control sales team to obtain a price for this product. Our email is sales@more-control.com or call 0345 00 00 400. DB-9 Wiring Terminal, DIN-rail Mount. Please contact the More Control sales team to obtain a price for this product. Our email is sales@more-control.com or call 0345 00 00 400. SCSI-100 Wiring Terminal, DIN-rail Mount. Please contact the More Control sales team to obtain a price for this product. Our email is sales@more-control.com or call 0345 00 00 400. 20-Pin Flat Cable Terminal, DIN-rail Mount. Please contact the More Control sales team to obtain a price for this product. Our email is sales@more-control.com or call 0345 00 00 400. CIRCUIT MODULE, 20-pin Flat Cable Wiring Relay Board. Please contact the More Control sales team to obtain a price for this product. Our email is sales@more-control.com or call 0345 00 00 400. DB-25 Wiring Terminal, DIN-rail Mount. Please contact the More Control sales team to obtain a price for this product. Our email is sales@more-control.com or call 0345 00 00 400. DB37 DIN-rail Wiring Board. Please contact the More Control sales team to obtain a price for this product. Our email is sales@more-control.com or call 0345 00 00 400. AMAX-2240 Series wiring board. Please contact the More Control sales team to obtain a price for this product. Our email is sales@more-control.com or call 0345 00 00 400. 50-Pin Flat Cable Terminal, DIN-rail Mount. Please contact the More Control sales team to obtain a price for this product. Our email is sales@more-control.com or call 0345 00 00 400. Screw-Terminal Board with LED indicator. Please contact the More Control sales team to obtain a price for this product. Our email is sales@more-control.com or call 0345 00 00 400. 50-pin SCSI and IDC DIN-rail Wiring Board. Please contact the More Control sales team to obtain a price for this product. Our email is sales@more-control.com or call 0345 00 00 400. 50-pin SCSI DIN-rail Motion Wiring Board. Please contact the More Control sales team to obtain a price for this product. Our email is sales@more-control.com or call 0345 00 00 400. DB-62 Wiring Terminal, DIN-rail Mount. Please contact the More Control sales team to obtain a price for this product. Our email is sales@more-control.com or call 0345 00 00 400. SCSI-68 Wiring Terminal, DIN-rail Mount. Please contact the More Control sales team to obtain a price for this product. Our email is sales@more-control.com or call 0345 00 00 400. SCSI-68 to 3*IDC-20 Converter, DIN-rail Mount. Please contact the More Control sales team to obtain a price for this product. Our email is sales@more-control.com or call 0345 00 00 400.